What Will It Take For You To Embrace Self-Driving Taxis? One big question surrounding autonomous vehicles is whether or not human beings will actually want to use them at all. 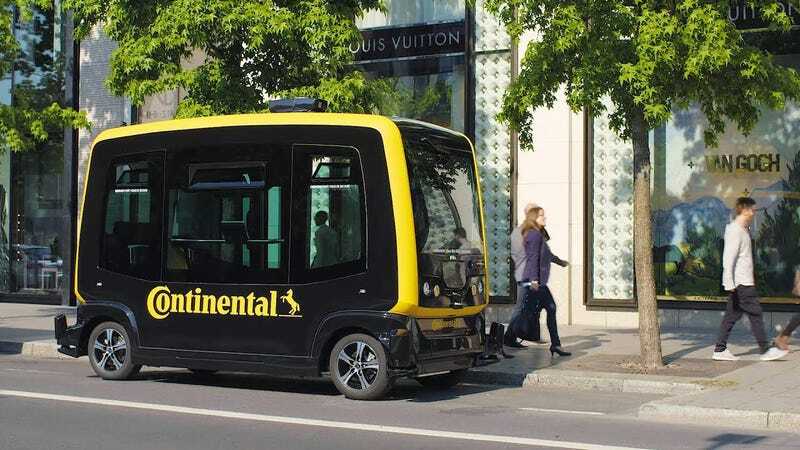 While fully autonomous taxis seem more plausible at first than commercially available, single-owner autonomous cars, Automotive News says that, according to a new survey, 55 percent of respondents wouldn’t be cool riding in a fully self-driving vehicle. The responses from 1,500 people in the United States and Germany underline the dilemma automakers face as they design self-driving cars, said Gartner consultant Mike Ramsey. But the findings could also play into the hands of some auto suppliers — particularly makers of next-generation dashboard displays, such as Panasonic, Continental AG and Visteon Corp. Still, self-driving taxis are part of our future, as much as horseless carriages were the future in the 19th century. What would it take for you to embrace a self-driving taxi? Will you still insist on a human driver until the bitter end? Or will you not notice at all?